Older drivers in Powys are being encouraged to build their confidence by taking part in a free one-hour assessment. 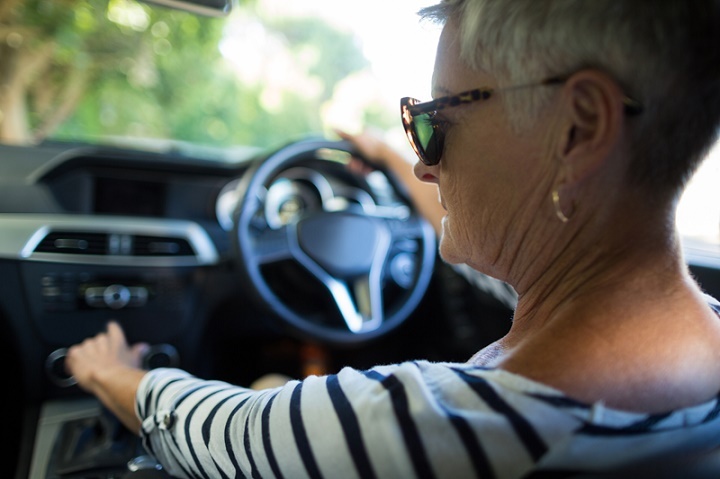 Organised by Powys County Council, the Drive On assessments are carried out by approved driving instructors to help those aged 65 years and over stay safe on the road for longer. During the confidential assessment, which the driver can take in their own vehicle, any safety issues that arise will be discussed so that they can be improved. While acknowledging driving is important for independence, Powys Council’s road safety unit says the risk of being injured or killed in a collision increases with age – especially for those over 75 years. Cllr Phyl Davies, cabinet member for highways, said: “As people get older, it is often a good idea to look again at driving and consider whether a refresher course could be useful. An assessment such as this is an excellent opportunity to do just that. For more information contact the road safety department via email or on 01686 611586. Whereas older drivers may be realistic and responsible enough to voluntarily have their driving assessed, what a pity it is that it never occurs to younger drivers ( meaning young and middle-aged) to do the same. Arrogance perhaps?..no-one likes to be told they’re not a good driver, when they’ve assumed that they are I suppose. I work for a Charity that has completed assessments for older drivers and those with medical or mobility issues for many years, and I believe these assessments are invaluable. The assessment completed by Driving Mobility starts with an informal chat with the client, a specialist ADI and an Occupational Therapist, so that they can understand any issues facing the driver before going out on road to see if they is any advice that can be given to help and support them. There is a cost for the assessment there is definitely no ulterior motive other then road safety. No problem with the re-assesment in terms of safety but, the question is who should do it. ADIs teach people to pass a test, which is not necessarily the same as being safe. That apart, the driving standard of many ADIs leaves much to be desired and is often below the standard they are teaching people to pass the standard driving test. I just wonder when the DVSA will wake up to this. Good idea. I hope they do better than some organisations that do free assessments and then criticise the candidate for something considered as needing some training in and benefiting from the fees from several hours of tuition.